2 or more $5.22 ea. 14 or more $5.20 ea. 108 or more $5.10 ea. 216 or more $4.98 ea. Need more than 570 sq/ft? Bulk Deal Savings in April! Looking for even larger quantities? Give us a call on (800) 671-9662 to discuss your requirements. StartPave is a modern grass paver and also a gravel paver. 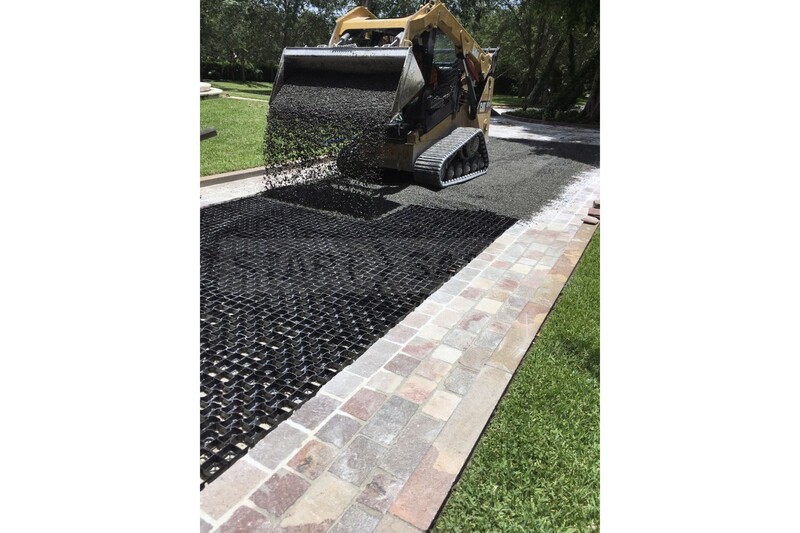 It provides an eco-friendly and superior alternative to traditional permeable concrete grid paving. 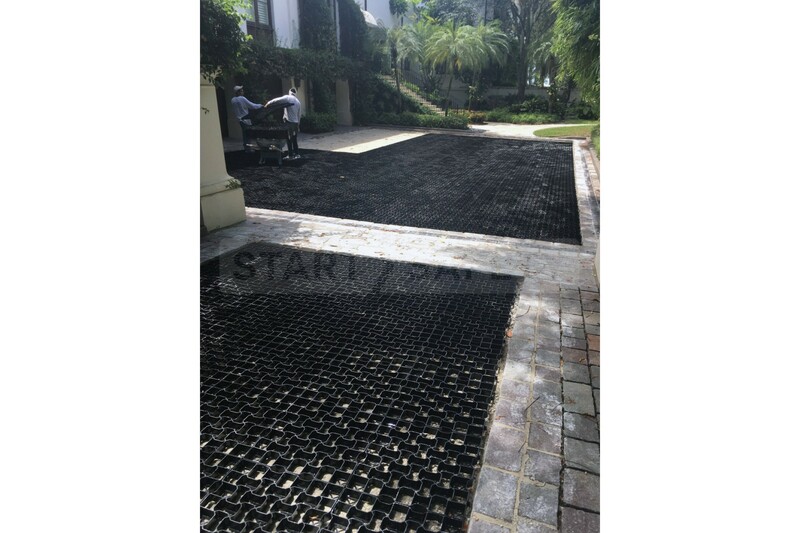 StartPave has been established as a leading system for both permanent and temporary installations. These grass grids are very durable and can be used in both domestic and commercial applications. A large cost saving makes our porous pavers favorable when compared to other products on the market. They prevent soil erosion, prevent vehicles sinking and vastly improve drainage, all whilst having little visual impact. When compared to traditional concrete permeable pavers, StartPave comes out on top. It is superior in many applications, including landscaping, overflow parking, and private grass driveways. It does not crack, is permeable, and will not dry out grass or cause flooding. 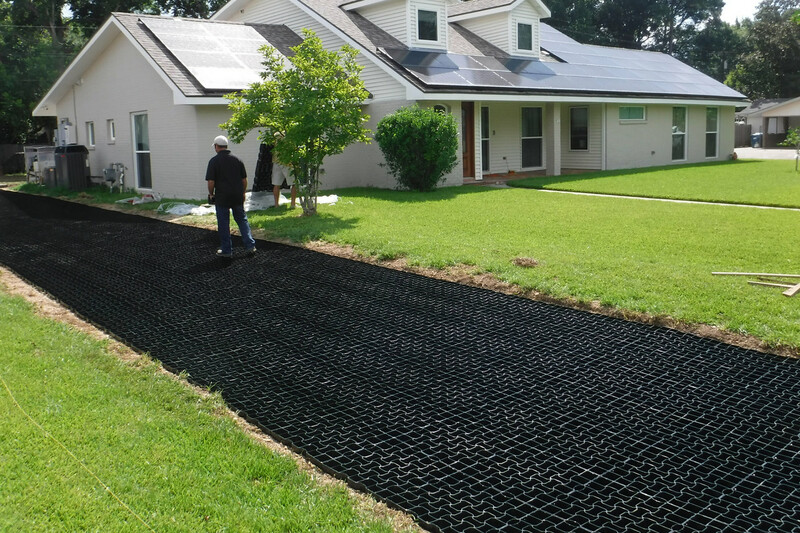 With our lawn grid, you can be sure that you will have healthy green grass. Each StartPave tile covers 2.64 sq/ft. The minimum quantity that we can ship is 14 pieces, for larger projects over 250 sq/ft you can call us for a significant price cut! *Please check these calculations for yourself we are not responsible for incorrectly ordered amounts. When measuring your area to calculate how many pavers you require you will need to take into consideration any cuts you may need to make. The above paver calculator has an option to add 5% extra for cuts. Depending on the job you are doing you may need to make an allowance for more than this. 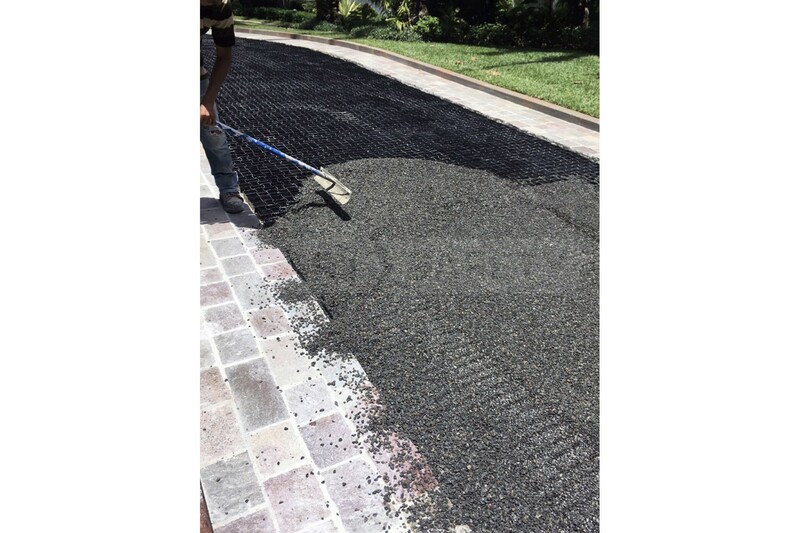 The most common domestic applications we see these pervious pavers being used for are driveways and parking areas. There are lots of people who have summer vehicles such as a Winnebago or camper that is only parked by their property occasionally. Our grass driveway pavers can be used to provide a temporary parking area for these vehicles without paving over the whole lawn. There are many reasons why you may want to create a grass driveway. 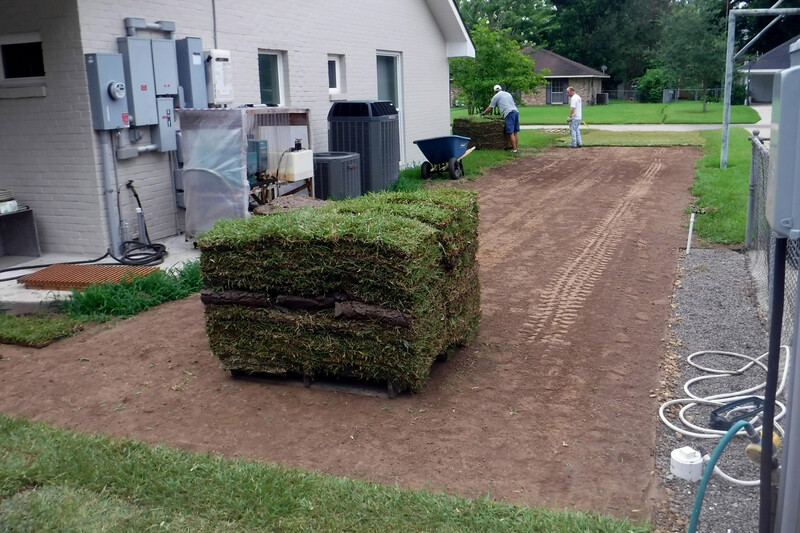 Maybe you have a hidden garage at the back of the yard but don’t want an ugly asphalt or concrete driveway running across your lawn. 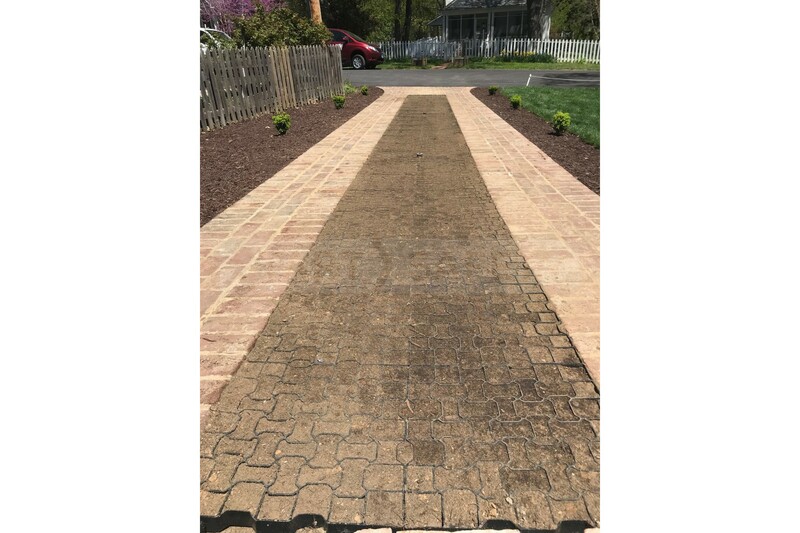 By using our grass driveway pavers you can create a hidden driveway that will not become muddy or ruin your lawn. Having a grass driveway can not only improve the aesthetics of your property, it can have a variety of other benefits too. 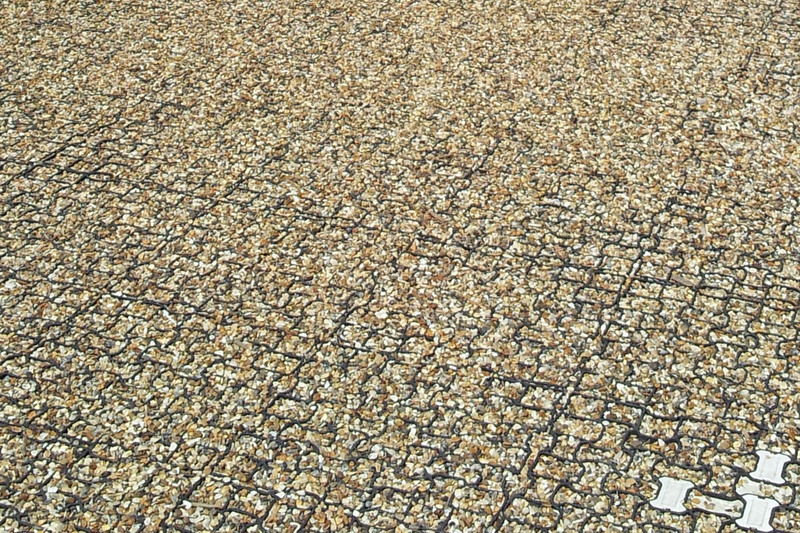 By using StartPave reinforcement you will be able to create a hard wearing grass driveway. The structural support provided by the plastic grids prevents vehicles sinking and improves traction. Ensuring the driveway can be accessed all year round. The open underside of the grids also ensures that drainage is maintained. Having good drainage allowing water to flow into the natural water table is important to prevent flooding. If you want a green, environmentally friendly driveway then our porous paving system is the right choice. 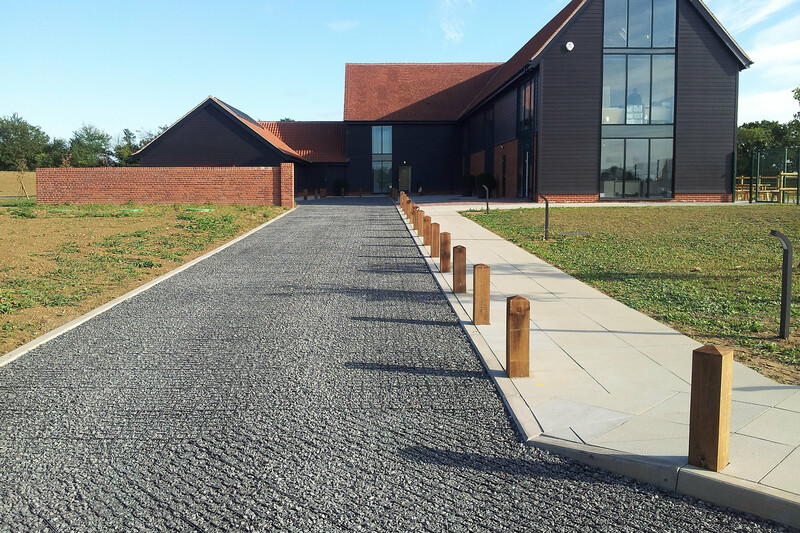 Gravel parking areas are visually impressive and can really make a property stand out. However, without the proper foundations, the gravel can ‘rut’ and become thin in some areas. This can give a patchy finish which is less than desirable. StartPave gravel grid can prevent this and can be used to stabilize the aggregate. By using StartPave the gravel pavers aggregate will stay in place and not end up on the road, or on your lawn. You will also notice a slight reduction in the noise levels of vehicles driving over the gravel. By using a weed matting beneath the pavers you will also not have to deal with unwanted weeds. A sturdy yet visually discreet hard standing to park a camper trailer or boat trailer on when they are not in use is easily produced with StartPave. They blend seamlessly into the rest of the lawn but have the structural integrity near that of concrete. Colour. 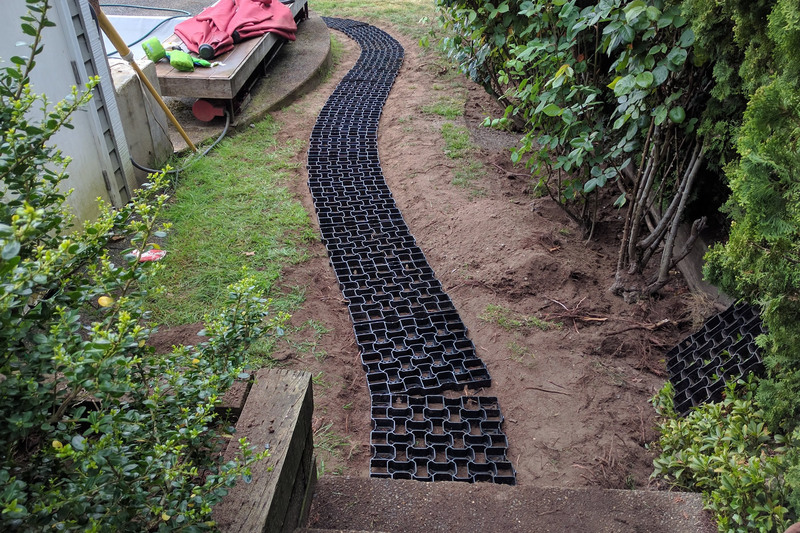 These plastic pavers can also be used to create gravel walkways and pathways through or across your property. 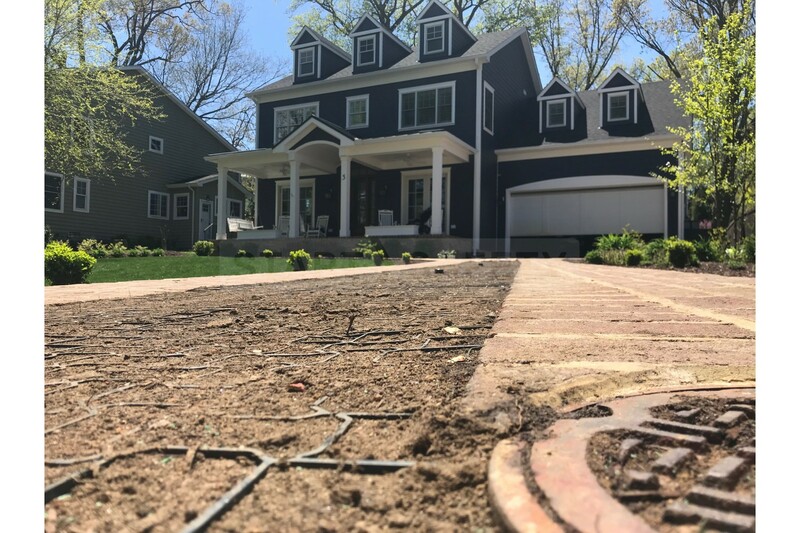 The great drainage of this product means that the gravel remains fairly dry, even during rain making is great for creating an area of porous pavement between your home, garage, and other outbuildings. Patio areas can be created with gravel surfaces that are far more visually pleasing than concrete slabs. 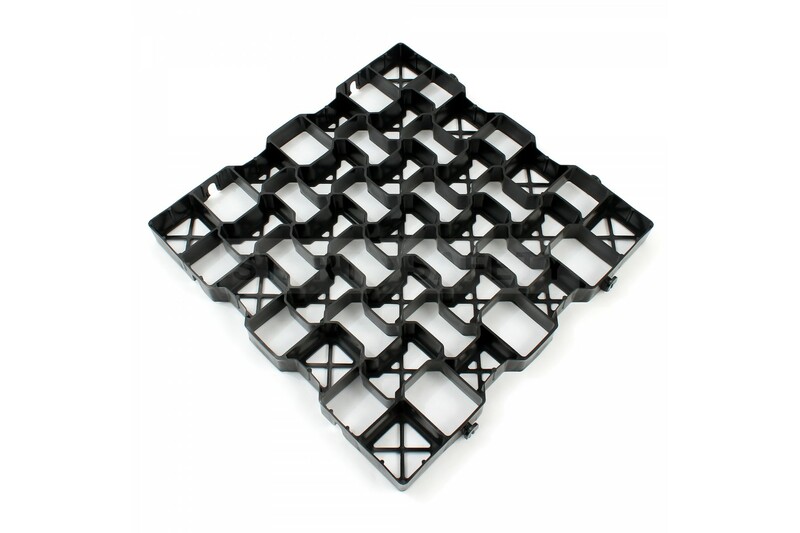 StartPave plastic paving will improve the drainage of your patio rather than cause more water run off. Golf Cart Paths – Create neat roadways that will not become muddy in wet weather, all without ruining the visual appearance of the course. Residential Parking Lots – It is important within cities that there is appropriate water drainage. 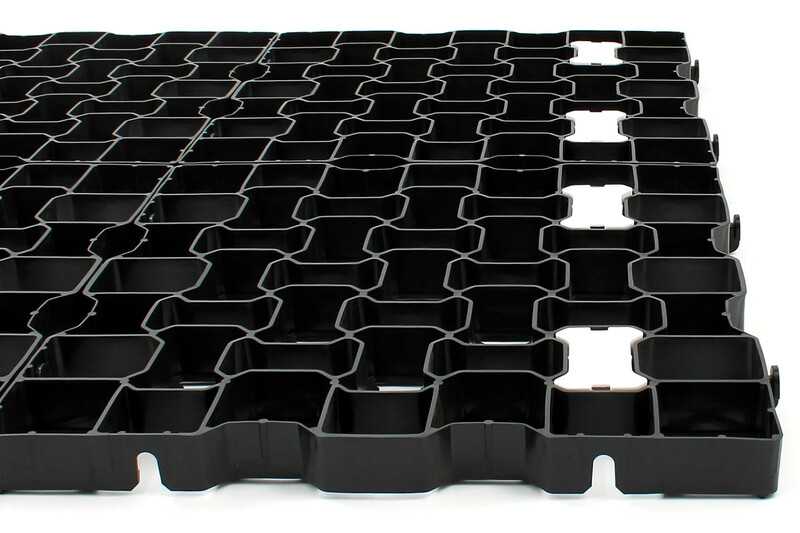 These grids can be used to create residential parking areas with plenty of water drainage. Overflow Parking Areas – Don’t ruin the visual appearance of your venue with ugly asphalt. By using StartPave you can provide a stable and clean grass surface parking area. 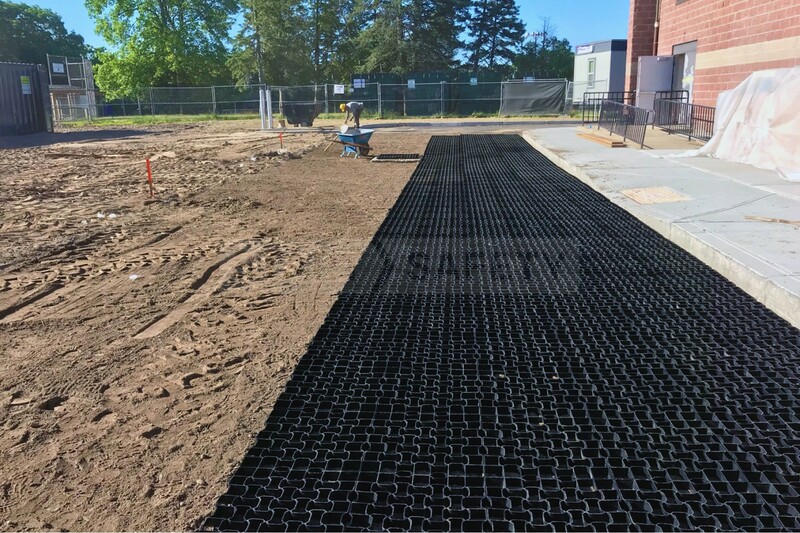 Permeable Pavement - These grids will ensure that rainwater can soak away even through the pavement in a natural manner. Rooftop Gardens – Keep soil and gravel under control and prevent them running into drainage channels. Fairground areas – Use this grid to provide structural support, and also prevent foot traffic from churning up the ground. Water Runoff Management – When used in replacement of a concrete or tarmac parking area waste water will drain away quickly without causing flooding. Swimming Pool and Jacuzzi - Surround your pool with these pavers to provide adequate drainage. You can use grass or gravel to infill depending on the appearance you want. StartPave is very easy to install. The size of the project you are carrying out will dictate what size equipment is required. 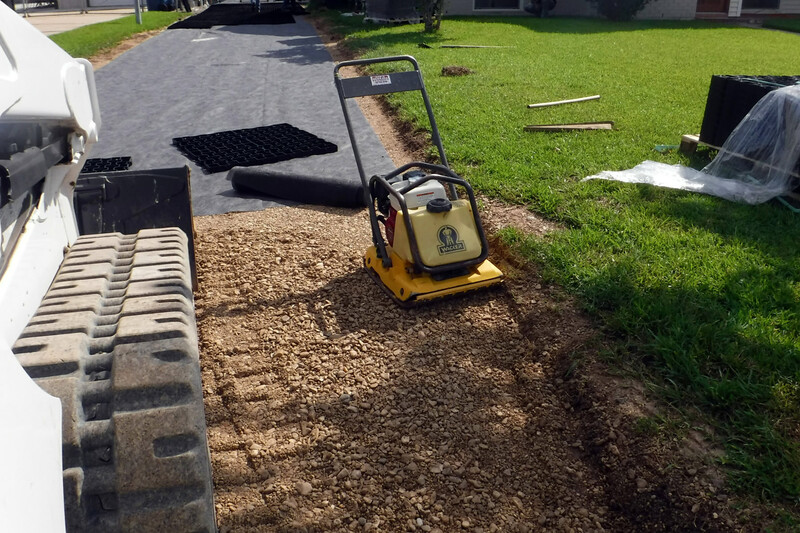 For smaller installations such as a permeable driveway a small Wacker plate, substrate, circular saw and optional weed matting is all that is needed (in addition to normal hand tools such as shovels and pickaxes). Larger installations may require a small bobcat digger to make the installation process much faster. Having the right foundation for your paving is essential if you want the end results to look right and last. You will need to lay down an appropriate sub-base along with a laying course of sand or similar. 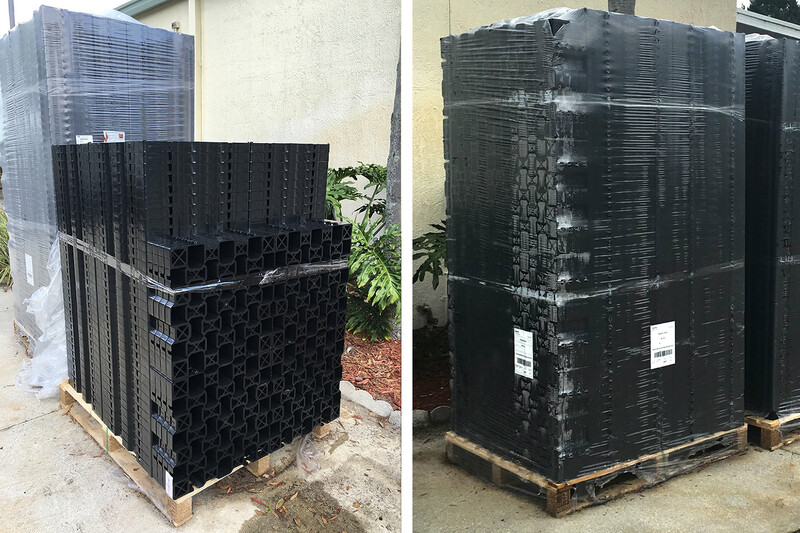 When ordering larger amounts of porous pavers, they are supplied on a pallet. Each layer of the pallet consists of a pre-assembled group of four grids. This makes deployment for contractors very fast. The average worker should be able to lay 1000sq/ft per hour when taking them from a pallet. This does not include surface preparation and cutting time of course. Each grid has clips on each opposing corner, allowing it to lock onto the next. This simple interlocking system makes installing pavers very fast. It also ensures that once in place they stay in place. Take a 3D tour of StartPave! Our grid systems are made from 100% recycled material they are also chemically inert. They will not react or leach chemicals into the ground. Should oil or a similar pollutant be spilled onto the grids, the aggregate can simply be removed and replaced. When installed correctly the grids will improve drainage reducing surface water run-off. Surface water run-off is a big problem for cities and urban areas and leads to flooding as well as pollution in ponds, rivers, and lakes. Instead of water draining and filtering through the soil into underground reserves, it washes directly off into ponds and rivers via roads. Pollutants on the roads can end up in ponds and lakes poisoning the local wildlife. 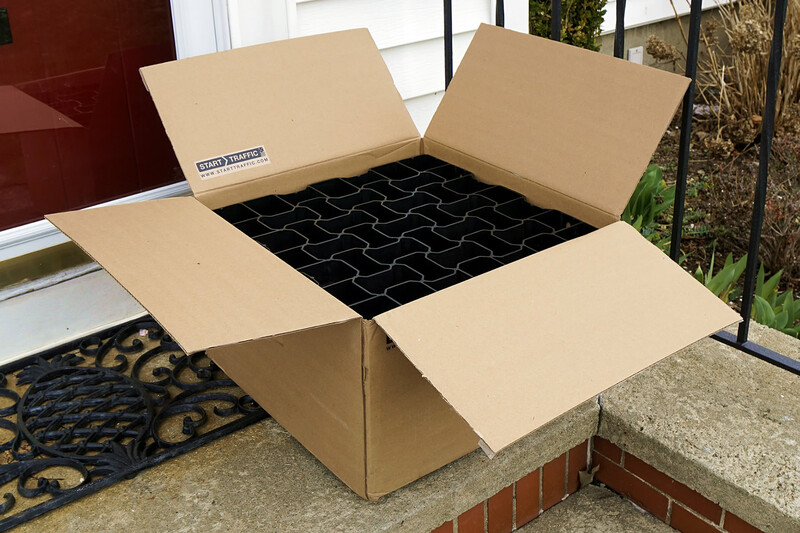 Our grids are suitable for use as part of a Sustainable Urban Drainage System (SUDS). By using these pavers in urban areas, you will be reducing the likelihood of flooding caused by stormwater runoff. Improved traction on grass and gravel areas. No specialist tools needed for installation. More aesthetically pleasing than porous concrete pavers. Faster to install with a simple clip together design. Better for the environment than alternative products. We offer friendly and free customer service by phone or email. We will be happy to talk with you about any questions you may have regarding our grass pavers. 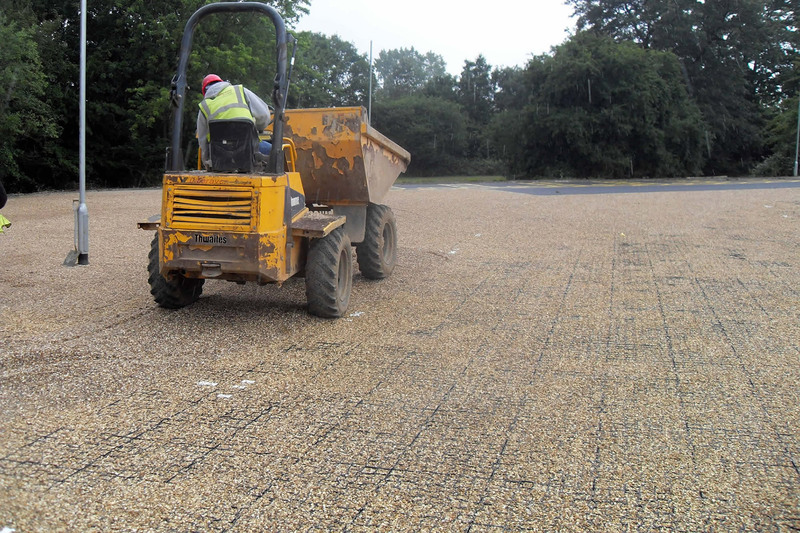 We carry a large quantity of StartPave in stock so can deliver quickly to your work site. Will these heave in zone 5 - Michigan? Temps vary from 0 to 30 all winter, with rain, snow and ice. What keeps the frozen earth from pushing the paving around? 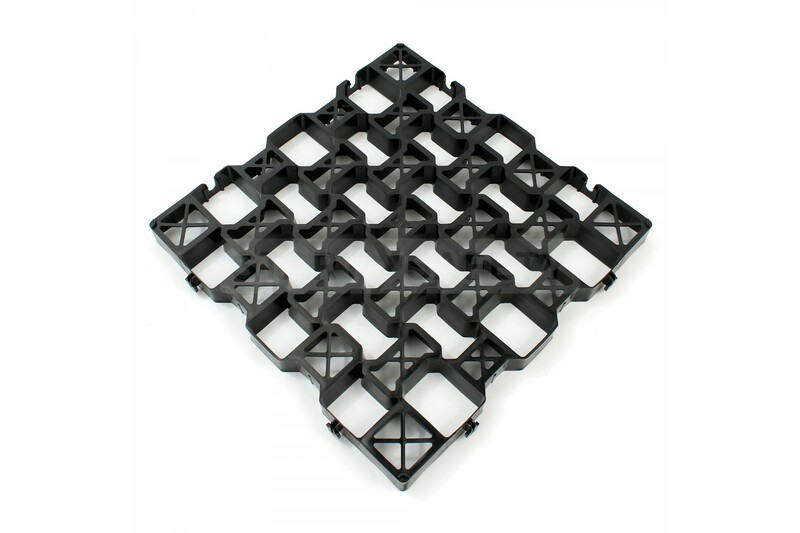 Our pavers are made from HDPE, they're semi-rigid with expansion gaps to allow the earth below some movement. Although StartPave cannot stop the earth from moving underneath, they will retain the surface composition and suffer much less damage (if any) than concrete or tarmac which is susceptible to cracking and breaking up. What is the maximum pounds of pressure your product can sustain? Could an 80000 lb. Tractor Trailer park on it in a gravel or grass application? Yes, absolutely. 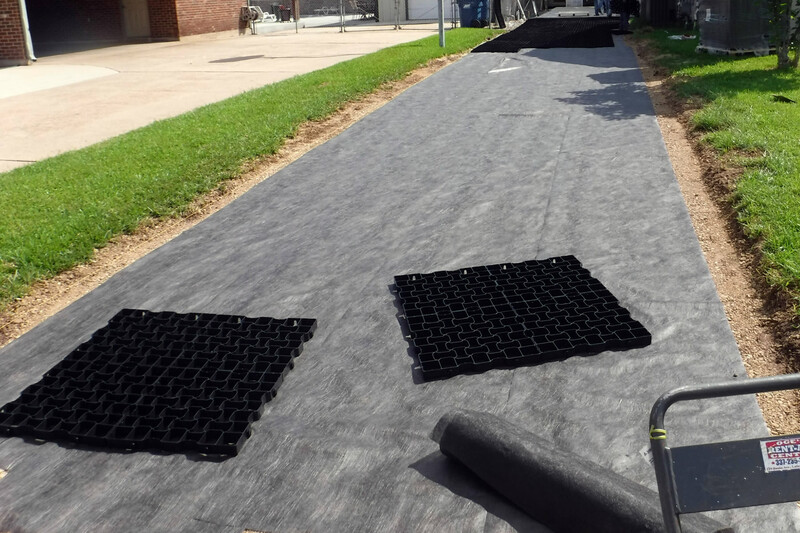 StartPave is designed to withstand 100 US tons per grid or 25 US tons per axle point load. Please note, this is the rated weight once correctly installed with the use of 3/4" pea gravel. Can you mow over these? Can I use a snow plow on StartPave? I live in Milwaukee WI, so need to take snow into consideration can I use a snow plow on StartPave? Yes, Geogrid can be safely used with snow plows just as you would on concrete or asphalt. You will need to set whatever equipment you are using to a height of approximately 2" to ensure the plow does not make direct contact with the Geogrid surface. 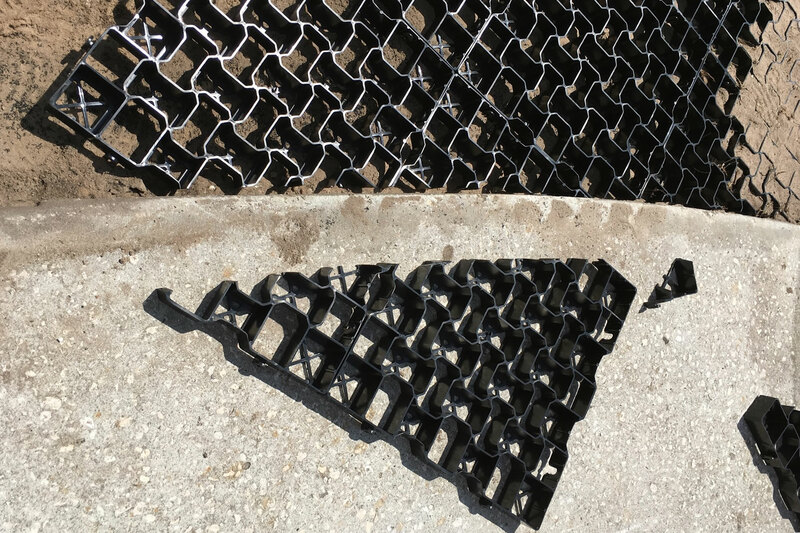 If the GeoGrid surface is accidentally damaged by the plow the damaged tile can be easily be lifted and replaced inexpensively.